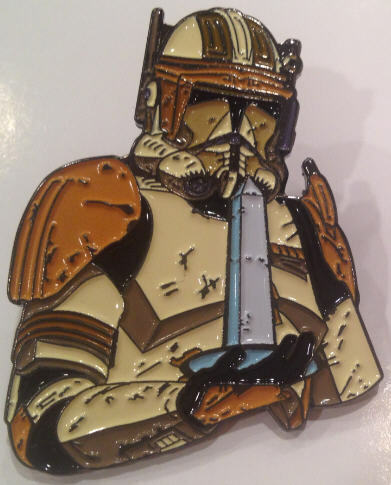 The DCSWCC 2014 Charity Pin features Commander Cody with DCSWCC's signature Washington monument as the hologram. Sixth in the series of high-quality cloisonne pins, officially licensed by Lucasfilm Ltd. Each pin is individually stamped and numbered -- only 500 of these pins will ever be made! Please allow three (3) weeks for shipping. You should receive an automated email from our store once your pin has shipped.